When the 2017-2018 school year starts, educator Theresa Williams will have her newest title: principal of ICan Lighthouse Charter Academy, a year-round, tuition-free school that offers an art-infused curriculum. The school will operate out of the First Baptist Church of Plant City campus, 503 N. Palmer St. In its first year, the school will offer curriculum for kindergarten through fifth grade. Williams is “homegrown,” she said. She’s a Plant City native, and has been an area educator for the last 19 years. Williams graduated from Florida Agricultural and Mechanical University’s College of Education. She then returned to her hometown, teaching at the collegiate level and at Turkey Creek Middle School. Most recently, she served as an assistant principal at Durant High School. Williams said the opportunity to work at the charter school, which is expected to have between 250 to 326 students and about 20 staff members in its first year, will be unlike anything she’d done before. For example, she said, teachers can create a song or dance to help students memorize a math lesson. 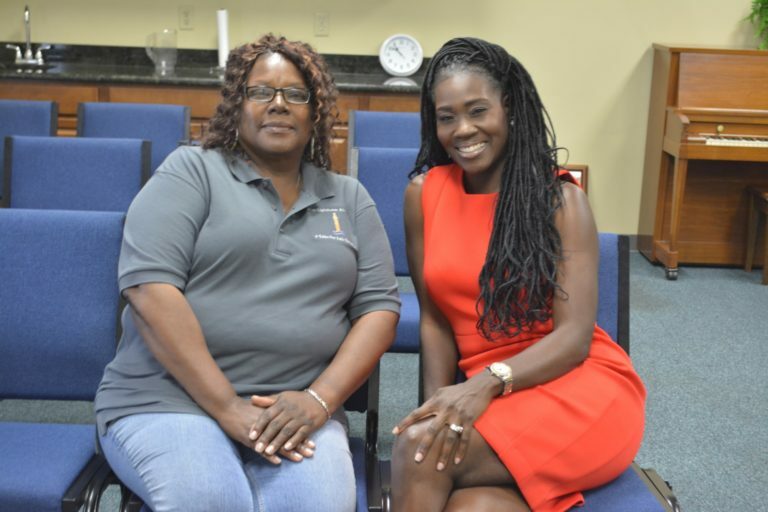 The charter school will operate out of the First Baptist Church of Plant City campus, 503 N. Palmer St.
ICan is the brainchild of founder Zenobia Cann, who serves as the academy’s board chair. Cann became familiar with Plant City when she met Pastor Calvin Callins Sr., the pastor of Greater New Hope Anointed Ministries. At the time, Cann said, Callins had a prodigy program at W.E. Phillips Learning Academy, another charter school started by Cann in Seffner. Phillips closed in 2014 due to low enrollment, Cann said. But she saw a need in Plant City. With a need discovered, the school needed a location. Callins introduced Cann to First Baptist Plant City, which is relocating to a larger campus at 3309 James L. Redman Parkway later this year. The church had enough space for the school’s classrooms and activities, which will primarily take place on the first and second floor of the Palmer Street building. Lighthouse Academies has expanded to six states since the first school opened in 2004. Lighthouse Academies opens schools in Indiana (Indianapolis Lighthouse and Gary Lighthouse). Academies open, located in New York and Indiana. 99% of graduates were accepted to four-year colleges or universities, earning more than $3 million in scholarships collectively. Lighthouse Charter School had above a 90% graduation rate. Indianapolis Lighthouse Charter School – East in Indianapolis, Indiana, opens in August for grades 7-9. The school will grow to serve through grade 12. Capital City Lighthouse Charter School in North Little Rock, Arkansas, opens in August for grades K-6. expands to second campus to house the Upper Academy. For Cann, bringing in someone to run the academy who has experience in Plant City was a necessity. Though the school has a high focus on art in its curriculum, Florida statutes require that charter schools follow state-mandated assessments. In addition to those, Cann said, internal assessments also will be conducted. In the next few years, Cann and Williams hope that the school will continue to add grades up to eighth grade. For a long-term vision, they hope that ICan will eventually offer kindergarten through 12th grade. Where: ICan Lighthouse Charter Academy, 503 N. Palmer St. According to the Hillsborough County School District’s website, 40 charter schools operated in the county in the 2016-2017 year, serving 17,883 students that totals 8.3% of the district’s 214,749 students between kindergarten and 12th grade.